Gometegui is a leading company in the high quality machining sector and has recently participated in the manufacturing of various high precision parts for the largest solar telescope in the world that will be installed on the Maui island of Hawaii, at the Haleakala observatory which gives an idea of the technological level of this company. Their machine tools are equipped with FAGOR CNC’s, an essential component to obtain the precision and productivity that manufacturing such delicate parts requires. 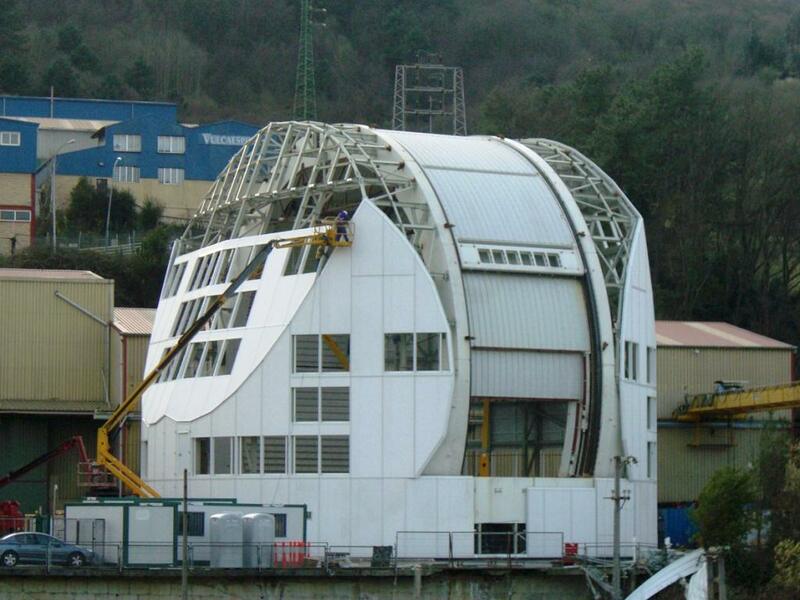 The dome of the telescope weighs about 600 Tons, its diameter is 26 m, its height is 24 m and the building it consisted mainly in manufacturing the base ring, the vertical arcs and the auxiliary structure that supports the coating of the whole “Domo” as they call the assembly built by Gometegui. Idom, the project coordinator for the largest solar telescope in the world has been working with Gometegui for years for several reasons: Gometegui’s great technical capability to provide solutions to important design problems as well as their welding and machining capability. All Gometegui machines are equipped with Fagor CNC’s. “At Gometegui, we basically have two types of CNC’s, the 8055 and the 8050. Some years ago, Gometegui, we saw the need to replace the CNC’s of the machine tools with more reliable ones. After conversations with several manufacturers, we chose Fagor CNC’s for their advanced design, reliability and after-sales technical service. We tested it on a machine and then on a another one and the results ratified our choice. We then replaced the CNC’s on the rest of the machines fully confident that Fagor would provide the CNC’s” states Mr. Iñaki Gento, sales manager of Gometegui. Furthermore, Gento points out the complication and the precision of many of the projects they engage in which makes him add that “having Fagor CNC’s makes us confident in the end results and offers our customers the assurance and reliability that the machining and final dimensions requirements will be within the tolerances they demand from us”.